God can save your marriage. The institution of Marriage is ordained by God; but just because God ordains something, does not mean it will be easy. All relationships have struggles. 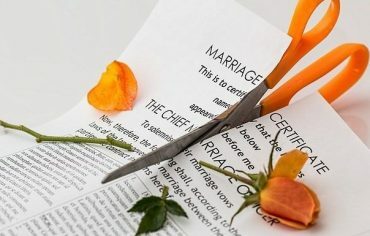 Over 50% of marriages end in divorce. This includes Christian unions. This country is experiencing divorce rates as high as secular marriages. Whether religious or not, many have uttered these words as a prayer…”God, can you save my marriage?” The divorce rate in America for the first marriage is 41%, the divorce rate for the second marriage is even higher, 60%, and the divorce rate for the third is higher yet, at a whopping 73%! One can almost feel, why bother getting married at all, with such bad odds? Nevertheless, incurable romantics get married every day, hoping they will not become a statistic. The first thing you must know is that God loves you and that though you are suffering, He has not abandoned or forgotten you or your family. I do not speak as a professional relationship counselor, but as someone who has experienced the restoration of their marriage. I understand how the lack of communication can erode a relationship, and I understand the pain of betrayal. I know what it is like to cry out to God for the answers I needed to be whole again. I have often heard that your relationship cannot be saved unless both people want it. I have not found that not to be true in my case. I believe that God will work with the party who is willing to submit himself to Him. Work on me? They are the one who is messing up! I know it is a little difficult to hear when you are hurting, but a relationship does not break down by itself. Often both parties have played a part in its demise. It is easier to hold resentment and unforgiveness when you feel that you have done no wrong. As you seek the face of God, He will shine His light on your heart and your own sin. The Spirit of God will gently point out areas where you have failed, and as He shows you, don’t argue, but say, “yes Lord,” and repent. When your eyes are opened to your own faults, it is a little easier to understand the failure of your partner. I do not say that God allowed problems with your relations but He will take what the enemy sent for evil and use it for your good. God wants to get your attention and God wants to have your heart completely. Once you have presented your whole heart to the Father, then. He will begin with you. Allow the Lord to remove anything that has hindered your walk with him, He will begin to cleanse, renew you and give you new strength. Now you have an open line to pray for your spouse. Many men and woman who have stood in the gap for their spouses have come out true prayer warriors. Allow the Spirit of God to use this situation to perfect your faith in Him. Love in not a feeling but it is a decision. You have made a decision to love this person through sickness and health. Love is a verb and something that is to be demonstrated. You cannot go by feeling, as feelings change throughout a relationship. True love grows and matures, and with that maturity, true commitment, and responsibility. It is like faith. Faith without works is dead being alone. Faith is not faith because you feel it, but it is faith because you cannot see it or feel it. You have made a commitment to this person, and that commitment must remain when you feel your love the person or not. God commanded, “Ephesians 5:25 Husbands, love your wives, even as Christ also loved the church, and gave himself for it” Do you see the sacrificial love has for us? This is the love each man should have for his wife. That sacrificial love should remain through weight gain, on sickness. It will show you how to effectively minister to your spouse. 1Peter 3:7 – Likewise, ye husbands, dwell with them according to knowledge, giving honour unto the wife, as unto the weaker vessel, and as being heirs together of the grace of life; that your prayers be not hindered. If men realized what a great responsibility they have to love and understand his wife, they would not be so quick to marry. This is God’s command to husbands. You will find that if you remain firm and don’t seek love somewhere else if you begin to nurture your wife and seek to know her, love will bloom again, but it will take your full commitment. No woman can resist a man who truly loves and understands her. When she feels she is loved, then submission her partner will become automatic. You are in a warfare, not just for your family, but for your spouse. The enemy will always try to use one to destroy the other. Your spouse is not the real enemy. Ephesians 6:12 our struggle is not against flesh and blood, but against the rulers, against the authorities, against the powers of this dark world and against the spiritual forces of evil in the heavenly realms. You are coming against spirits who has blinded the eyes of your spouse. Remaining prayerful is important because they enemy is also trying to attack you. Ask the Lord to show you, the spirits that are attacking your loved one. Is is adultery, addiction, abuse, rejection or mental illness? As you recognized each spirit, begin to bind them and in the name of Jesus, command those strongholds to be pulled down. Ask another Christian, who you know, has a strong prayer life, to come in agreement with you in prayer. Two are better than one. Do not share your problem with anyone who does not have a prayer life and do not share your problem with anyone who tends to gossip. Your prayers will be powerful as you come before the Lord. Ecclesiastes 4:12 And if one prevail against him, two shall withstand him; and a threefold cord is not quickly broken. Christians are not exempt from marital problems. As a matter, a fact, over 50% of Christian marriages ends in divorce. That is as often as divorce for non-believers. It is easier to walk away than to do the hard work of praying, waiting and believing the Lord. My husband and I were having financial and communications problems, which resulted in a separation of several months. I wanted my marriage to work, but my husband made the choice to leave. I enlisted the prayer for my family and church for the healing and restoration of our relationship. My husband was traveling throughout the US, and from time to time; he would call me. I made it a point to be pleasant and not to fuss or argue. My pastor encouraged me to continue to serve God with my whole heart, and not allowed the enemy to cause me to withdraw. I continued to preach, minister, work. One Sunday morning, I decided to visit a church that had early service, before attending my regular service. The church had about 600 members, and as I went to sit on the right side by the church, an usher stopped me, and I was redirected to a seat on the left side of the church. I was a little upset that I could not sit where I wanted, and quickly sat down and put my purse on the floor and looked straight ahead. Out of the corner of my eye, I noticed a man sitting in the seat next to me, with his hands buried in his face. I could feel such sadness radiating from him. I had an overwhelming feeling to turn to see who this man was. I could not believe my eyes; it was my husband! In all the seats in that church, the usher sat me right next to my estranged husband. I had moved during our separation, and my husband did not know where I was living. What a miracle! If I had not decided to visit this church before my normal service, we would not have met! My husband and I were shocked, how God orchestrated this meeting, and we knew we were supposed to remain married! That was in God can save your marriage from divorce! That was in 1997, and we have now been married for 26 years! My prayer is that God will restore your marriage also. Hello, Dennis. The first steps to God moving in our behalf is repentance. When the Lord sees our godly sorrow he is pleased. I stand with you in prayer for the restoration of your marriage. Try to be consistent in your love and accountability to your family. You wife will see your sincerity. It takes a lot of time to rebuild trust. Be patient.